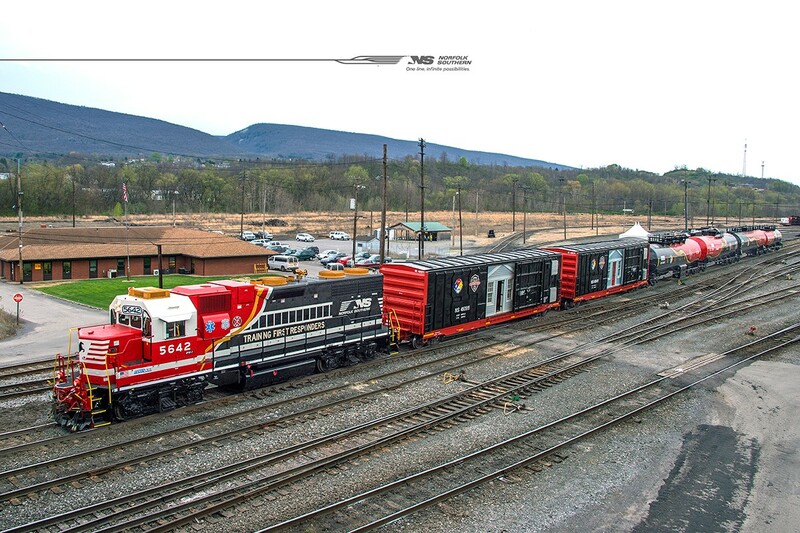 ALTOONA, Pa., April 22, 2016 /3BL Media/ - In keeping with a strong tradition of safety, Norfolk Southern today rolled out a new educational train and website to help first responders across its network respond to potential rail-related incidents. During the ceremony, Norfolk Southern announced that it won its 16th National TRANSCAER Achievement Award. The TRANSCAER award recognizes exceptional achievement in support of voluntary efforts by companies to help communities prepare for and safely respond to incidents involving transport of hazardous materials. Last year, Norfolk Southern provided training for 4,792 emergency responders, government officials, members of the media, and others in 18 states. The training included classroom seminars, hands-on sessions with rolling stock, table-top simulations, full-scale drills, and exercises at training centers operated by NS and the Association of American Railroads. Norfolk Southern also was instrumental in developing the AskRail™ mobile app, which provides real time rail information to first responders.